A rise in plastic dumped in the ocean is changing the habitats of marine life, a new study warns. American researchers examined human rubbish in the in the North Pacific Subtropical Gyre, 1,000 miles off the Californian coast in an area commonly known as the 'Great Pacific Garbage Patch'. They found that in the last 40 years the amount of discarded plastics has led to a 100-fold rise in plastic particles in the North Pacific Subtropical Gyre (Great Pacific Garbage Patch) and is causing creatures like the sea skater (Halobates sericeus) to alter their behaviour due to changes in habitat. 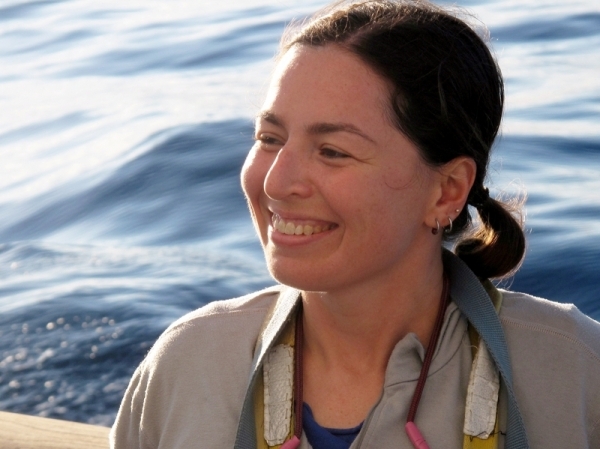 Lead author, Miriam Goldstein, from Scripps Institution of Oceanography at University of California, San Diego, says, "This paper shows a dramatic increase in plastic over a relatively short time period and the effect it's having on a common North Pacific Gyre invertebrate. 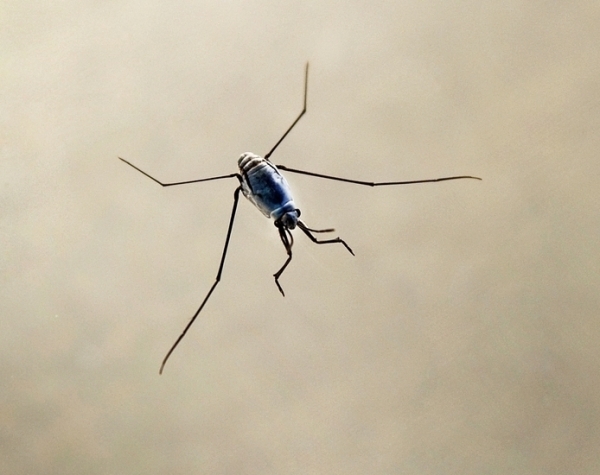 We're seeing changes in this marine insect that can be directly attributed to the plastic." Miriam was chief scientist on SEAPLEX, the Scripps Environmental Accumulation of Plastic Expedition, which investigated the impact of the rubbish on the New Horizon research boat. The research paper, Increased oceanic microplastic debris enhances oviposition in an endemic pelagic insect, has been published today in the Royal Society journal, Biology Letters. The sea skaters - that are related to pond water boatmen - live on the surface of the water and lay their eggs on flotsam, including shells, bird feathers, lumps of tar and pumice. Researchers discovered the sea skaters in the North Pacific Subtropical Gyre have started laying eggs on the plastic rubbish, which has led to a rise in egg densities. This could have knock-on consequences for creatures including crabs that eat sea skaters and their eggs. The latest study looked at changes in volume of small plastic debris from 1972-87 and 1999-2010 through historic samples, SEAPLEX data, other marine research voyages and published research. Just two months ago, scientists at Brazil's Instituto Oceanografico reported that another sea skater species (Halobates micans) were discovered on plastic floating in the South Atlantic, off the Brazilian coast. Miriam Goldstein says the use of plastic has become widespread since the 1940s, which has led to the huge increase in the amount in the oceans. She hopes that in future, more steps can be taken to prevent plastic waste from ending up in the sea. The study's other co-authors include Marci Rosenberg, from UCLA and Lanna Cheng a Scripps Research Biologist Emeritus. 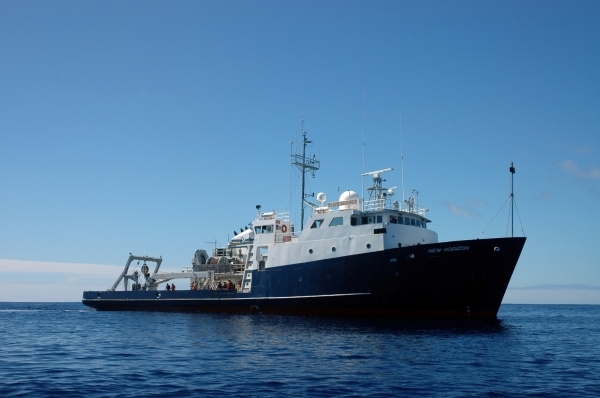 The SEAPLEX is partly financed by the University of California Ship Funds, which allows young scientists to gain valuable straining at sea, the Association for Women in Science-San Diego, Project Kaisei/Ocean Voyages Institute and the National Science Foundation's Integrative Graduate Education and Research Traineeship program. Last year, Scripps researchers produced a study, which revealed that more than nine percent of the fish contained plastic waste in their stomachs. In the intermediate ocean depths of the North Pacific Ocean, the study estimated that up to 24,000 tons of plastic waste per year was ingested by fish. Scripps Institution of Oceanography was founded more than 100 years ago in 1903 and is one of the oldest, largest and most important centres for global science research and education in the world. The centre has 1,400 staff and hundreds of research programs covering a wide range of scientific areas are presently under way today in 65 countries.